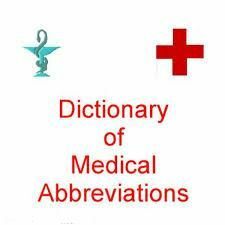 In common with many other industries, the health care field has its own “shorthand.” Listed below are some of the words and abbreviations frequently used in a hospital setting. When speaking with a health care professional check their photo ID badges to become familiar with the staff. Please be sure to ask for an explanation of anything you don’t fully understand. Attending (MD)—a physician with primary responsibility for a patient’s care. Child Life Specialist—educated in child development, Child Life Specialists work with children and families to help them cope with being in the hospital. They use education, medical play and activities to help the child feel more comfortable. They also organize and supervise the playroom and can provide toys and games at the bedside. Licensed Practical Nurse (LPN)—a nurse who has graduated from an accredited school of vocational nursing but has less extensive clinical training than a registered nurse. Medical Students (MS)— students completing their last few years of medical school. They work under close supervision and do not make independent decisions about diagnosis or treatments. Nurse Practitioner (NP)—a registered nurse with at least a master’s degree in nursing and advanced education in a medical specialty. Registered Nurse (RN)—a nurse who has graduated from an accredited nursing program, has passed the state exam for licensure, and is registered and licensed to practice by a state authority. Residents—physicians completing more specialized training. They participate in the patient’s care under the direction of an attending physician. Service—a division of the hospital medical staff devoted to a particular specialty. ASD—Atrial Septal defect. A congenital defect in the heart between the atria. BID—twice a day (sometimes q12h or every 12 hours). CT—Computed Tomography, also referred to as CAT (computer axial tomography). Three dimensional image of a body structure constructed by computer from a series of cross-sectional images. CT scans reveal both bone and soft tissues, including organs, muscles and tumors. ECG or EKG—Electrocardiogram. A graphic record of the action of the heart. EEG—(electroencephalogram) measures electrical activity of the brain. I & D—Incision and Drainage. IM—Intramuscular or into the muscle. IV—Intravenous. The delivery of fluids and/or medication into the blood stream via neddle. MRI—Magnetic Resonance Imaging. Computerized images based on nuclear magnetic resonance of atoms within the body induced by the application of radio waves. An MRI scan provides 3-D images of the body’s interior, delineating muscle, bone, blood vessels, nerves, organs and tumor tissue. Nasogastric—a tube that leads from the nose or mouth into the stomach. ODA—Operating Day Admission. The patient scheduled. PAT—Paroxysmal Atrial Tachycardia or pre-admission testing (depending on context). PERLA—Pupils Equal and Ractivet light. & accommodation. pH—Symbol for expression of concentration of hydrogen ions (degree of acidity). PICC Line—(Peripherally Inserted Central Catheter) for delivery of medication into the bloodstream. PIC-U—Pediatric Intensive Care Unit. A unit staffed by Pediatric Intensivists (pediatricians with special training in the care of critically ill infants and children) and other highly-skilled specialists. PIMU—Pediatric Intermediate or “step down” unit. A unit that admits less critically ill children and is also a transitional unit following a stay in the PICU. PM or p.m.—Afternoon (post meridian). qod—Every Other Day (quater otra die). q2h, q3h, etc—every two hours, every three hours, etc. s [needs line over s]—without (sine). Tid—Three Times a Day (sometimes q8h or every 8 hours). VSD—Ventricular Septal Defect. A congenital defect in the septum of the heart. Benign—a term to describe a tumor that is not cancerous. Blood pressure—a measure of the force of blood flow against veins and arteries. Blood count—the number of red blood cells, white blood cells, and platelets in a sample of blood. Also referred to as CBC (complete blood count). Bypass—to divert flow from one structure to another. Catheter—a tube used to inject or withdraw fluids. Extubation—removal of a tube that has been inserted to get air to the lungs. Febrile—denoting or relating to fever. Foley catheter—a tube placed in the bladder to drain urine. Hemovac—a tube place near an incision during surgery to drain excess fluid. Infusion—slow and/or prolonged intravenous delivery of a drug or fluids. Intubation—the insertion of a tube into a hollow organ such as the trachea (in order to get air to the lungs). Palliative—relieving the symptoms or pain of a disease or disorder without effecting a cure. Radiology—x-rays and other imaging techniques. Respirator—an apparatus to administer artificial respiration (used when a patient cannot breathe adequately without it ). Traction—the act of drawing or pulling with ropes, pulleys and weights. Tracheostomy (also referred to as tracheotomy)–an incision made in the neck to allow the passage of air directly into the trachea to reach the lungs. Urinalysis—A test of a urine specimen. kilogram (kg):2.2 pounds in a kilogram. centimeter (cm):2.5 centimeters in an inch. 37 degrees C = 98.6 degrees F.
Multiply the centigrade (C) degrees by 1.8 and add 32 to convert to Fahrenheit (F). If your temperature is 38.2 C, it is 100.8 F (38.2 C x 1.8 + 32 = 100.8 F).